Goodwood - I Say Ding Dong Shop - Buy Stickers, Decals & Unique Automobilia. 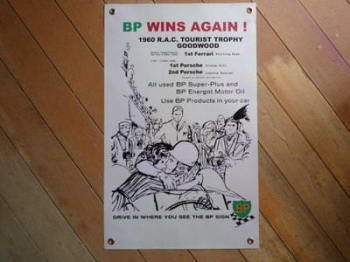 BP 1960 RAC Tourist Trophy Goodwood Banner Art. 17" x 27". 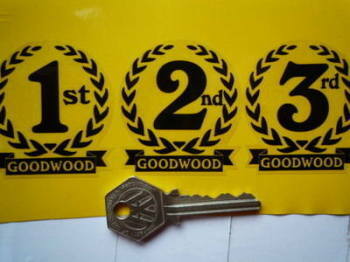 Goodwood 1st, 2nd & 3rd Podium Garland Stickers. 2". Goodwood AA A29 Sticker. 6". 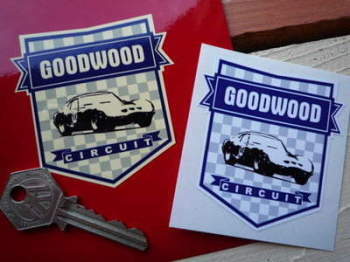 Goodwood Circuit Blue Shield Sticker. 2.5". Goodwood Circuit Green Shield Sticker. 2.5". Goodwood Circuit Chichester Pennant Sticker. 4". Goodwood Circuit Gulf Sticker. 3.5". 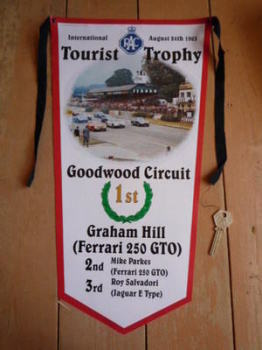 Goodwood Circuit RAC Tourist Trophy Graham Hill & Ferrari 1st Banner Pennant. Goodwood International 1955 Pennant Sticker. 6". Goodwood Les Leston Style Sticker. 3.5". Goodwood RAC A29 Sticker. 6" or 12". Goodwood Retro AA Sign Sticker. 12".